If you’re not familiar with voice search, you should get acquainted with it now. Where once it was a tool for visually impaired people to surf the web, now it’s a common way to search the Web. With tools like Google Home, Amazon Echo, Alexa, Cortana, OK! Google and Siri, people are getting used to talking to the web when they want something. That means a change in the way websites are designed and keywords are structured. 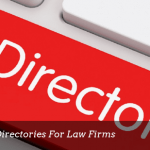 It’s vital for law firms of all sizes, from small to large, to adjust the way they optimize their lawyer websites to compensate for this new trend. According to Hitwise, almost 60% of web searches are now done by mobile devices, and as people turn to their phones more often, they’re also using speech rather than typing on 6” or 7” screens. It’s an entirely new world for web searching, and device manufacturers are taking note, improving voice recognition and commands every day. As these new devices make it easy for people to just ask their phone a question, interaction with the Internet is also becoming natural. People can do everything from playing music to arming their home alarm or even controlling their car just by telling their phone to do it. Device interconnectivity is also increasing—Google Chrome syncs completely across devices, now, for example. Voice search is rapidly growing in the market, with 25% of all Bing searches being done by voice in 2016, and 20% of all Android searches done via voice search that year. By 2020 it’s expected that at minimum 50% of all searches across the board will be done via images or speech. Voice-first devices are on the rise at a blistering speed. Just three years ago, less than 2 million voice-first devices shipped. Last year, nearly 25 million voice-first devices shipped. How Do I Optimize Lawyer Websites for Voice Search? Entering search queries into an engine has become something of an art and a science since the 1990’s when search engines first arrived on the scene. Search keys have become very succinct and keyword-focused. That’s changing with the advent of voice search. People are now asking their phones questions in a conversational tone. Rather than, “restaurant near me,” people will ask their phone, “Where’s the closest restaurant?” for example. This means that voice search queries tend to be longer than traditional keyword searches. The idea is that the device looks for short, relevant content pieces to serve back. 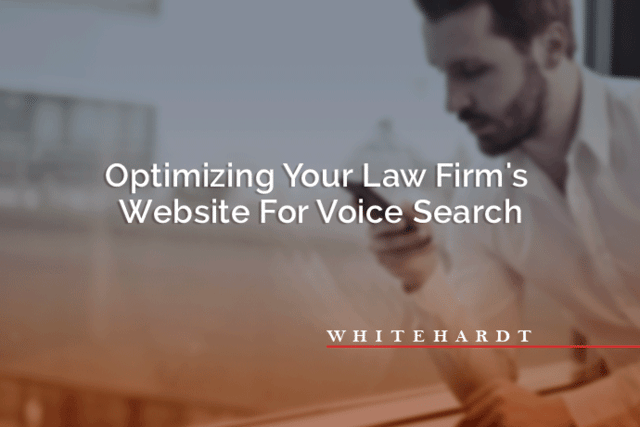 Here are some key concepts to consider in optimizing lawyer websites for voice search. The most popular search terms these days revolve around local information and content. That means you’ll want to strategize your location keys and make sure that your website and social media presence clearly indicates not just your specific address, but the regional information where you’re located. Google My Business listings are essential tools for internet marketing. This allows Google to find and track information about your business, what type of service you provide, your location, business hours, contact information and more. With so many voice searches focusing on local information, keeping your My Business listing up-to-date will increase your SEO greatly. Keywords aren’t keywords anymore. Now they’re what are called “long-tail+,” with the plus sign referring to conversational phrases you need to add as you optimize your website. That means you have to have a more conversational strategy for designing and using keywords. It needs to mimic the way people talk. Think about the kinds of questions people ask when they call you about your business. Document and record the questions and phrases you hear over and over again. These will be a great start when it comes to your new keyword strategy. Go back and rework the content in your existing pages to incorporate these new keys, and you’ll already be ahead of the game. With conversational keywords on the rise, this means FAQ pages will become more important than ever. These pages are custom-built to incorporate your new casual and conversational voice search keyword phrases. Create natural-sounding questions and phrases and group similar questions on the same page. Technology is changing at a faster rate than ever before. To stay ahead of the game and on top of your competition, talk to a professional outsourced lawyer websites marketing service like Whitehardt. Contact us for more information today!